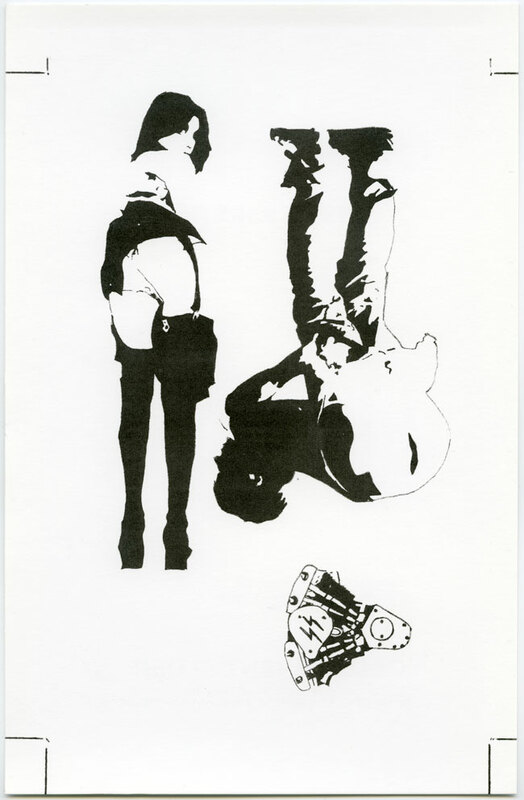 Steven Parrino was known for having a preference for black, i.e. black cloths, black sunglasses, black paint on canvas, black noise, black duct tape (although he preferred to wrap his crumpled canvasses in silver coloured duct tape). Vintage cars, Harley Davidson motorbikes and Chevrolet motor blocks were also among his favorites to use in his art. The shortening “SS” for Super Sport is a signature performance option package offered by Chevrolet on a limited number of its vehicles. All SS models come with distinctive “SS” markings on their exterior. The SS package was first made available for the 1961 Impala. 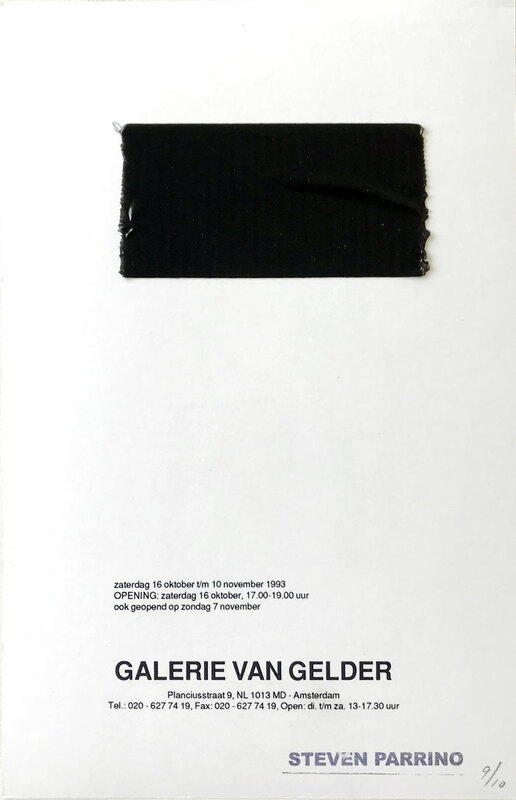 Here Steven Parrino combined a motor block with a mooning Iggy Pop in black and white on an uncut invitation card. For the occasion of his show an improvised edition was issued.